ENROLLING NOW! Our Summer Term 2019 Timetable is here at last, with favourite daytime and evening courses in Clothes Making & Fashion and General Sewing Techniques, brand NEW daytime, evening and weekend courses – Make a Bag in 2 Days and Hand Embroidery short courses – as well as NEW TIMES & DAYS for Clothes Upcycle & Mend 4-sessions courses. Our Sewing & Textiles Club is also still open to all on Tuesdays daytime. Have a look at all courses in the Courses Page, email us at admin@lmhs.org.uk with any queries and to enrol. Some classes fill up quickly so don’t wait too long to get in touch! 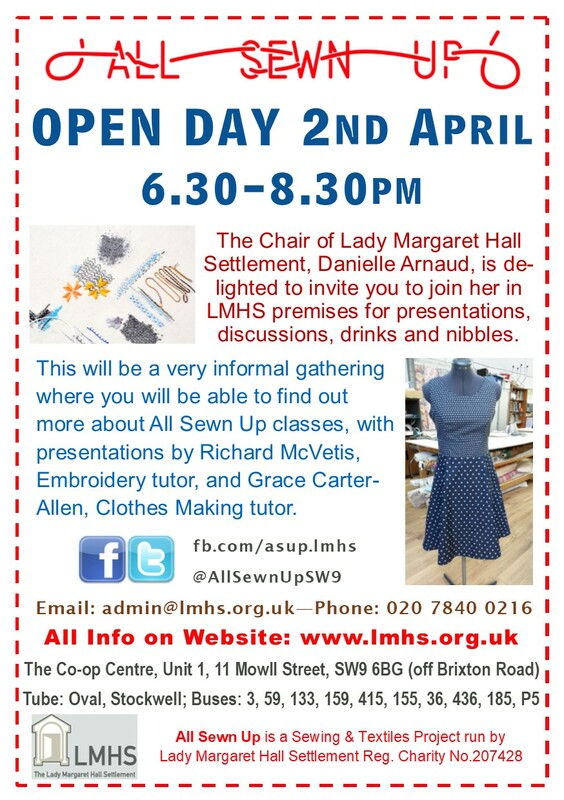 Come and join us for an evening with Lady Margaret Hall Settlement Chair Danielle Arnaud, tutors and students, to see what we do and have a chance to ask questions, suggest courses, and enrol for our great sewing classes for the Summer Term and beyond. Clothes Making tutor Grace Carter-Allen and new Embroidery tutor Richard McVetis will be to hand to present their classes and answer any questions, as well as to show samples from their work. Some of our currents students might also be able to come to champion our classes, tell you what it’s like, and show off some of their finished projects. 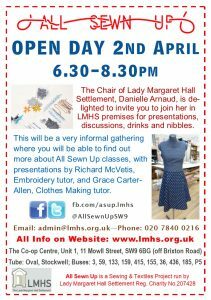 Please come to Unit 1, The Co-op Centre, 11 Mowll Street, London SW9 6HP for a drinks & nibbles evening to share our love of sewing and good company! RSVP appreciated but not essential. We look forward to welcoming you to All Sewn Up! 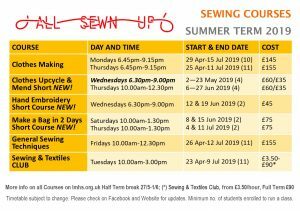 Spring Term 2019 Timetable – Enrol now! 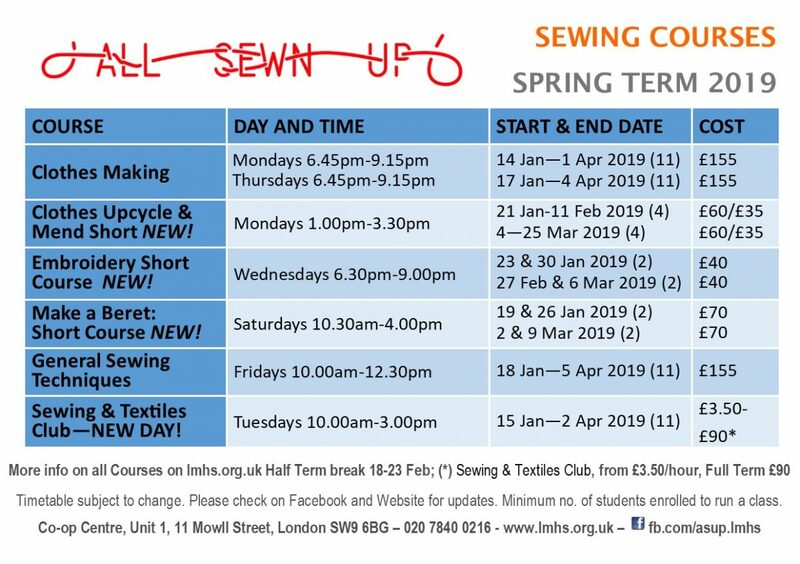 NEW daytime, evening and weekend SHORT COURSES added from January: Clothes Upcycle & Mend (Monday afternoon, 4 weeks), Make a Beret or Baker Boy Hat (Saturdays, 2 weeks) and Embroidery (Wednesday evening, 2 weeks). Have a look at the individual courses pages in this website for full information and get in touch with us soonest to reserve your place – some classes will fill up quickly! 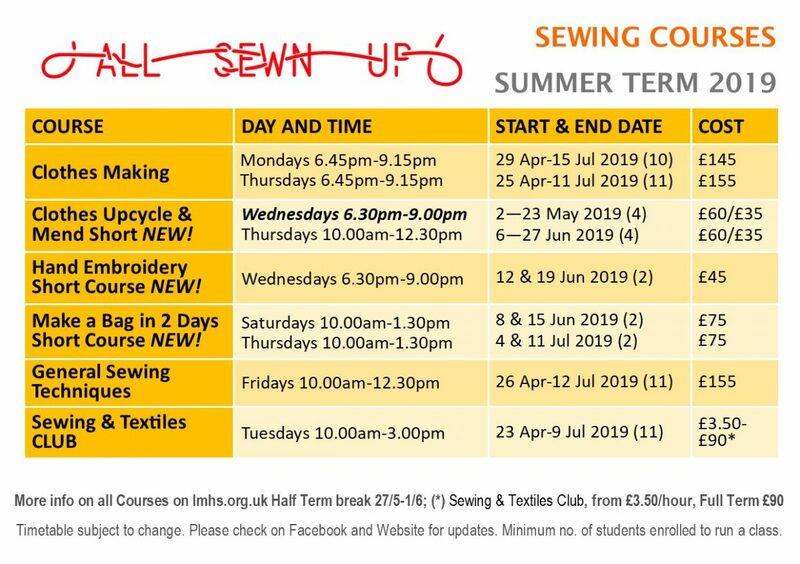 We have also changed the day for the Sewing & Textiles Club to Tuesday from 15th January for 11 weeks. We might be able to accommodate different days and times on request. 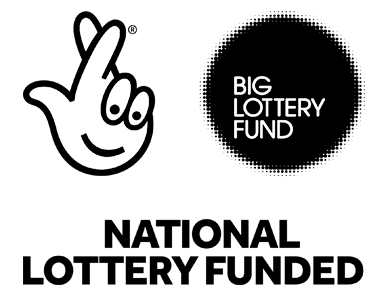 Email admin@lmhs.org.uk for more details. 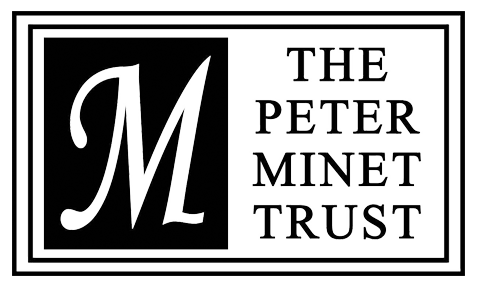 Keep in touch and find our latest News and Courses by visiting our Facebook page, following us on Twitter and Instagram, and by joining our Mailing List. Have a great Christmas Holiday season and see you all in January. Keep sewing! We are excited to introduce brand new classes in Embroidery with Fran Burden on Thursday afternoon and Millinery with Carla Rose on Friday afternoon, alongside our well-established evening Clothes Making & Fashion classes with Grace Carter-Allen who will also be teaching a new Clothes Upcycle & Mend Monday afternoon class and an expanded General Sewing Techniques class on Friday morning.